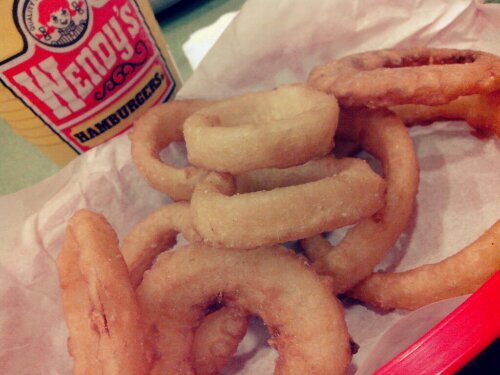 Wendy’sBBQnator has soft and juicy beef patties with onion rings deliciously deep fried to perfection to add that *crrrrrrrunch* and texture! It’s a gastronomical party in my mouth! Two (2) juicy quarter pound 100% pure beef patties, 6 strips of bacon, 2 slices of American cheese with their own blend of hickory barbeque sauce, topped with crunchy real onion rings. Those with smaller appetites, like me, aren’t left out. You can, instead, go for the Son of BBQnator Sandwich at Php156.00 or Son of BBQnator Combo at Php198.00. Also try the new Wendy’s Onion Rings. Slices of yellow Spanish onions with a mild, sweet flavor – lightly battered & breaded to perfection. Crispy on the outside, tender on the inside – Best paired with their refreshing iced tea which Wendy’s proudly claims is made fresh daily. 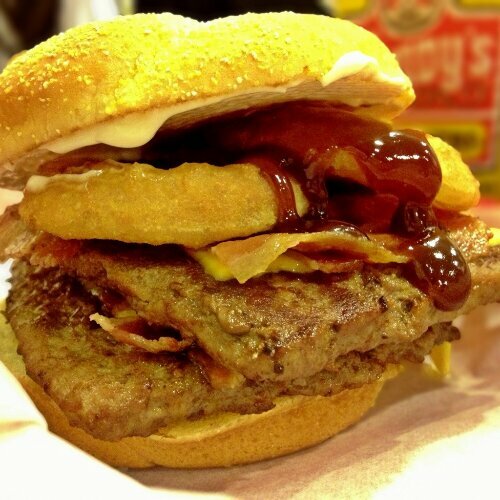 Wendy’s BBQnator is only available in the Philippines for a limited time. Give in to the Wendy’s BBQnator for that hickory holiday treat! An Afternoon With The MasterChef Pinoy Edition Top14! You are Here >> Home » Food » BBQnator!! !